In addition to the Nino Konis Santana National Park, the Government has indicated its interest in protecting other significant areas through implementing the UNTAET Regulation on Protected Areas. The fifteen terrestrial areas designated for protection include significant mountain peaks, forest remnants, coastal swamps, several beautiful beaches and Jaco Island. 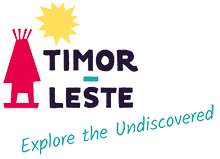 These areas are treasured by the Timorese for many reasons – historical, cultural and environmental. In their protection it is also recognised natural scenery and wildlife viewing are of importance for developing tourism. Timor-Leste’s reefs are globally significant due to their extremely high bio-diversity and five marine protected areas have been identified, with Com, Tutuala, Lore and Maubara already designated. The establishment of a fifth marine protected area at Vila-Maumeta (Atauro) is currently being finalised. Such marine reserves help maintain reef health – important for both sustaining local communities and as a basis for building eco-tourism.